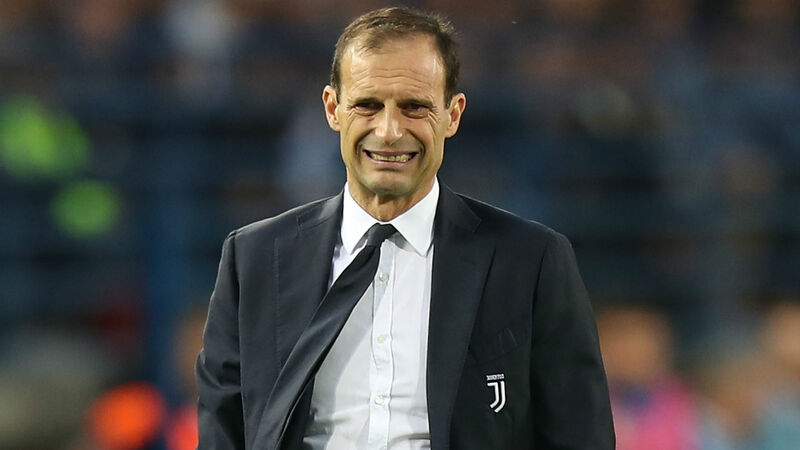 Massimiliano Allegri has called on Juventus to bounce back swiftly from their first defeat of the season as they prepare to face AC Milan. The Bianconeri were beaten for the first time since April in midweek as Manchester United scored two late goals to turn a dramatic Champions League contest on its head. Yet head coach Allegri is keen not to spend too much time mulling over the loss, with another crunch clash against old foes Milan in Serie A on Sunday. "We have to keep doing what we are already doing," Allegri told a pre-match news conference. "We were upset on Wednesday as we are not used to losing, it had not happened since April. "But we lost a game that might be less important in terms of the group and now it is Milan against Juventus. Every once in a while, a step backwards can help you move two forward. "They are always balanced matches [against Milan] and San Siro will push the Rossoneri on. It will be a technical and physical match, with Milan in great form." Let’s not look back in anger, Bianconeri! Gonzalo Higuain left Juventus for Milan in the close-season and Allegri, while a great admirer of the Argentina international, has no regrets. "Higuain is a player who has given so much to Juventus, who was so decisive in our victories," he said. "Decisions were made on both sides and Milan made a great signing. He is one of the best strikers in the world." Allegri is now hopeful a change of approach will see Cristiano Ronaldo thrive in Higuain's absence. The coach added: "This year we have scored less goals but conceded less. We are only in November; there are still seven months until the end of the season but we are on the right track. "It will be nice to see Higuain again - he was important for us - but we have Cristiano Ronaldo, who is the best striker in the world. We have to work to his strengths."